Join PTG as we deliver complimentary cuts of knowledge from the Oracle Prime Projects Cloud Service. Fill your appetite with these short, yet juicy webinars on the latest features of Prime Projects. This series is a must for Prime Users or prospective subscribers. Schedule: All Sessions Start at 11:30 AM Eastern Time and run for 30 mins. In this Prime Cut Webinar, we will train you how to add activities into the Prime Projects Schedule Application. This will include entering several attributes of an activity to include WBS, duration, constraints, relationships, discussions and tasks (lean scheduling) to name a few. In this Prime Cut Webinar, we will train you how to add baselines and snapshots to your project in order to monitor progress or changes within the Activities views. In this Prime Cut Webinar, we will train you how to progress activities using the My Activities page. This includes selecting projects, different activity views, and applying progress. In this Prime Cut Webinar, we will train you how to manage Lean Task Planning with the Prime Projects Task Plan Application. 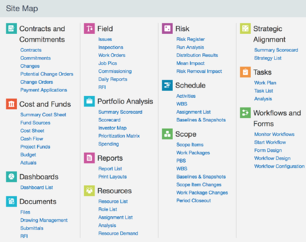 This includes creating, placing, moving, editing, and committing Tasks on the planning board. In this Prime Cut Webinar, we will train you how to manage Lean Task Planning with the Prime Projects Task Lists Application. This includes creating, placing, moving, editing Tasks, changing views, customizing the bar area, grouping and sorting to name a few. In this Prime Cut Webinar, we will train you how to monitor task planning with the Prime Projects Task Analysis Application. This includes viewing metrics by company and understanding how the data is populated from the Work Plan.